Challenging stereotypes and changing lives through the transformative power of fashion; that's what Fashion is for Every Body is all about. We use fashion to promote body-positivity and self-esteem while seeking inclusion for adults of all ages, sizes and physical abilities within the fashion industry. We accomplish our mission by facilitating partnerships between designers, boutique owners, photographers, and non-traditional models through endowments, photo shoots, and an annual runway show. Fashion is for Every Body is the brain-child of Alicia Searcy, Nashville's disabled fashion and style blogger and author of Spashionista, and Krystle Ramos, owner of Pura Vida Vintage. Searcy was born with Cerebral Palsy and is wheelchair or walker dependent. Her blog evolved to focus on fashion and style for older, curvier, or disabled readers - those not typically included by the fashion community - with a nod to Nashville's burgeoning fashion scene. She became friends with Ramos in 2012 when they started a dialogue about the lack of wheelchair accessibility at Pura Vida Vintage's then-location. When Pura Vida Vintage's location burned down in 2014 Ramos relocated to a fully-accessible storefront, and Searcy owns a sizeable cache of Ramos' curated vintage clothing. Together they co-produced the inaugural Fashion is for Every Body runway show on September 10th, 2016. 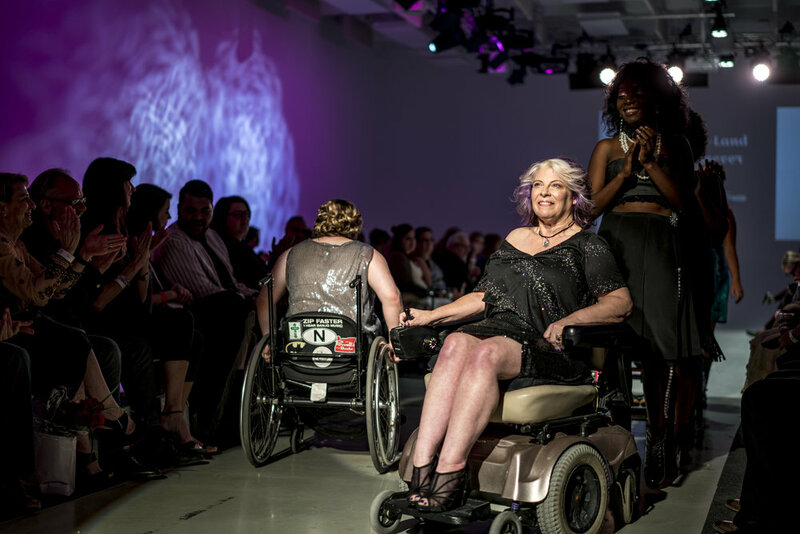 The first of it's kind in Nashville, the inclusive, crowdfunded runway show featured models of various ages, shapes, sizes and abilities wearing designs by 11 of the region's best designers and vintage boutiques. The event sold out our days in advance and was praised as successful and spirited by fashion industry insiders, style bloggers and inclusion activists. In 2017, Fashion is for Every Body partnered with Empower Tennessee to co-produce a fashion show called Boundless. The show took place on September 9th at Studio 615 and, like it's predecessor, it included adult models of all ages, sizes and physical abilities. As of this writing Ramos has closed Pura Vida Vintage to concentrate on being a mother for the third time. Searcy remains as Founder and Executive Director of Fashion is for Every Body.